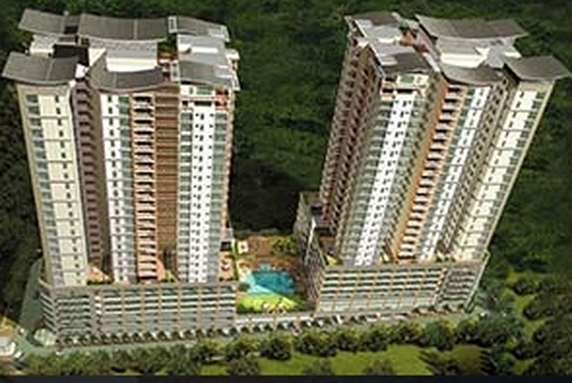 Ceriaan Kiara is the first high end luxury condominium development by YNH Property Berhad. It is a two-block with 119 units each block project on 3.06 acres of freehold land. There are 6 units per floor and only 2 penthouse units per block. A typical unit has sizes ranging from 1,828 to 2,208 sq ft. However, the penthouse units are not big but just doubled the size of the typical units. There are also 6 units on the facilities podium level in each block which have large gardens adding about 1,500 of space to their units. A typical unit has 3 + 1 bedrooms with 3 bathrooms. Every unit is a corner unit with 3 lifts serving per floor. Ceriaan Kiara is equipped with finest security features such as gated and guarded by 24 hours guard patrol, emergency panic button within each unit, perimeter alarm systems, multi access proximity card system, security surveillance with 24 hour CCTV monitoring, intercom and CMS alarm system integrated with security control at entrance. The location of Ceriaan Kiara is also very strategic where everything you need is close at hand. There are many amenities close by and currently easily accessible via Jalan Bukit Kiara, SPRINT Highway, NKVE Highway and Lebuhraya Mahameru. Schools are situated not further than 1 km away as well as shopping complexes.